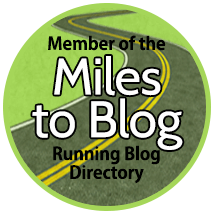 Runfessions — Friday Five 2.0 style! This is it! Final post of 2016! I always get rather sentimental with the closing of a year. This year since I spent the entire week wrapping up my 2016, I thought I’d go out with some fireworks today. Are you ready? I am! These are my Runfessions — Friday Five 2.0 style! 1. That this is my first time linking up with Marcia for Runfessions. 2. My training over the last two months has been laughable at best. After MCM I told my coach I needed a break from training. And I did. I felt like I was on the verge of burnout. But I promised him I was going to aim for 20-25 miles per week. Has that happened? No. I’ve still run. But like, 3 miles instead of 6. And this is why I need a coach of my own. Accountability, people! I’m just kidding, it doesn’t make me jealous at all. Kinda kidding. Not really. But keep jumping because as soon as it’s 50 and sunny here I’ll be jumping for joy, too! 4. Even though I posted my 2017 goals, I’m not committed 100%. So yeah. I was totally dedicated to my goals yesterday. Today? Notsomuch. But this too shall pass. 5. I runfess that I wish I could travel for more races. Not that I necessarily want to go on race-cations because let’s face it, they can be a little stressful. But I wish I had more freedom to do so. Just because. Even if I don’t want to. I actually think this is a situation where you don’t know what you’ve got ’til it’s gone? Before kids I could do whatever I wanted. I didn’t, but I could have. And when my kids are older I’ll be able to do more but then my kids will be old which means I’ll be older. And then before I know it I’ll be a grandma with a walker. It’s a downward spiral. I digress. It’s been a fabulous year with you guys. Thank you so much for making it incredible on the blogging front. And don’t forget to linkup for the final Friday Five 2.0 of 2016 with the lovely ladies of Fairytales and Fitness and myself. And be sure to check here for January’s topics! And with that, my lovely amazing friends, is how I’m bowing out of 2016. It’s been a great year. And now I can officially say I have taken part in the Runfessions linkup — and it feels gooooood! Have a wonderful New Year with friends and family and I’ll catch you in 2017! Boo-yah! What’s one thing you’d like to runfess before the year is over? What’s the last race you traveled for? And I’m finally linking up for Runfessions! Seeing other runners on instagram either makes me a little jealous when I see nice weather, or makes me feel better about where I live when I see that is -20 degrees with 10 inches of snow in other places. I guess it helps me to keep things in perspective! Most of the marathons that my husband and I run are not local (he wants to do one in every state). It’s fun but exhausting. And it’s tough to take at least one day of work off for them, so I couldn’t justify doing more than 1-2 a year. Hmm, good point. I ran in 7˚ today so there’s that. At least it was fun! Lol. I actually just wrote my goals post yesterday and have it scheduled for the 1st of January, but I’m already going back to edit it! So you’re not the only one changing goals. 🙂 I say don’t beat yourself up over running less miles than planned especially if you were feeling burned out. I added up my mileage for each month of 2016 and I noticed in Aug I only ran 86 miles, which was significantly less than every other month. But that was the month I felt so burnt out from training and I just HATED running. The next month, I was back up to my normal mileage and running HAPPY. I’m glad I listened to my body and I didn’t realize how little I ran until I looked back yesterday! Oh yeah, listening to the bod is critical. I actually got a nice run in this morning until the last half mile when my knee (of all things) started hurting. Right now I’m hanging out at 1293 miles for the year… haha. What a number! I can’t wait to hear about these goals, Amy… what are they??!! I was working on my goals and well, we all know how that went! So now I’m reworking them. But the goal of having fun is still there. That doesn’t change. Letting go of time goals is going to be hard for me. But I need to listen to my body and do the right thing! It’s been fun following you and getting to know you over the past year! Looking forward to more! I was actually going to email you this afternoon… I’m reworking my goals yet again after my run this morning. I’m going to shoot you a message so keep an eye out. And yes, I agree — super awesome following you and getting to know you more! I runfess that I wish I had goals and races on the calendar, and I runfess that I REALLY really really wish I was going to be running a marathon. C’est la vie. I wish that time and money were unlimited so that I could travel and run all of the races. There are just so many great races, in so many great places, but time and money can only be stretched so far. Oh well! I don’t even want to know about college. Being a parent has made me so much more thankful for the things I had as a kid. I don’t know how my parents managed it all! I’m hoping what I can’t give in material items I can give in things like vacations, experiences — and yes, even college! Fitness fans on IG are a bunch of enablers. 🙂 We’ve had all the seasons this week. 60 on Wednesday. 40 today. Happy New Year! Ha, you’ve got some time before you’re a grandma with a walker! And yeah, the running community is definitely a bunch of enablers 🙂 Stay strong. I’ve been horrible about running since my last half too. But I’ve got to start training for the next one now so back on the wagon! I have to start training as well. I’d rather sleep… zzzzz… lol! I keep looking at all the races too but have only signed up for 2. After 2 marathons in 2016 I am going through some burnout myself and have yet to find my mojo. So I am just doing other things and I am sure the mojo will come back…. It’s tough to find the mojo once it’s gone for a bit. You’ll definitely find it again, though. I’m sure of it! Last race I traveled for was PCB. I love my racecations — even without kids, I have the furkids, and it’s very expensive to just step out that door. So I *still* can’t just go & do what I want. And hey, don’t worry, there’s no running in shorts going on here either. As I told a friend who just went down to FL for the winter, I can be happy for her & envious at the same time. Yeah, we’ve seen some unseasonably warm weather on occasion here. Like mid-40s. Which might be shorts weather for some, but not for me! Have a great 2017 Rachel. Ha! That’s right. Even once my kids are older, I still have the furry ones… it’s never ending. But they’re so darn cuuuuuute. 40s in the spring is shorts weather for me. 40s in the winter is still cold. Haha. Aww, I wish I would have remembered it was Runfession time. That probably would have made for a better post..haha. Last racecation we did was to disney for the Wine n dine. Happy new year!!! You should write down Runfessions in your calendar. 🙂 It helped! Someday is going to be when I’m an old, crotchety lady. Which is why I’m making someday every day! I always feel sentimental at the end of the year, too! As I’m compiling my 2016 Year in Running Post for tomorrow, I realize that it has not been a great running year for me, but it’s been a ton of fun! I ran my 20th anniversary marathons in San Francisco and NYC. While I did not beat my 1996 times (as I should have been able to based on last year), I’m very grateful for having been able to try! FUN is the most important part. I’ve taken that to be my personal key phrase. If I’m not having fun, it’s not worth doing. Life is too short, no? I have not even started Thinking of my goals for 2017!! I’m behind! I am with you on most of this… I wish I could travel more often to Florida to do races… because the beaches in florida are amazing and they have the best weather!! but I don’t have endless piles of money! This seems to be a common theme… where do you think we could find piles of money? I’ll share if you will. I honestly didn’t think I was a race-cation kind of girl until the last couple months when I realized just how awesome race-cationing could be! I’m so with you on the time to travel to more races. I’ve seriously been suffering from “all the races” syndrome 🙂 which is exactly why I can’t seem to get my 2017 goals settled. Thanks for the link up! Happy New Year! I’m glad I’m not alone! I have three races I’m already registered for and ten million more on my “I want to do” list. It’s maddening! Lol. The last – and only – race I’ve traveled to was the Rock ‘n’ Roll Savannah half marathon. It was also my first (and only) half! And I’m a grandma, don’t use a walker, and love chasing after my grandkids. Running keeps me young! Hmm, I see what you did there… 🙂 I suppose only great-great grandmas use walkers these days. Lol! Savannah is amazing and that race was awesome! Lots of support, beautiful course, and fun post-race atmosphere made it a wonderful experience, especially for my first half. I’m not in shorts, but I was in capris yesterday. That’ll change since Boulder will be getting snow next week, and temps to go with it. I’m already cold looking at the forecast. Isn’t that the WORST?! When even looking at the forecast makes you cold? It’s no good!!! Every time I get jealous of some Southerner’s warm weather, I remind myself that they’ll be melting this summer for a lot longer than I will be here in Nebraska. It is so hard not to get jealous this time of year though! Give me heat and humidity all day, every day, and I am a happy camper… 🙂 And I know I’m in the minority when I say that. Lol! I too often wish I’d been a runner in those pre-kid years. Water under the bridge I guess. Race-cations are fabulous. But yes, challenging to pull off. There’s the expense and the guilt factor. And I’m going to keep doing them…..haha! Hahaha, this comment made me laugh all the way through. And I feel better that I finally runfessed… phew!! Happy New Year and Cheers to 2017! The last race I traveled to was the Panama City half- great race and great friends! It looked like an amazing race and weekend! Happy new year Mary Beth! Haha 🙂 I hope so.